Spinson Casino has a sleek and responsive theme that suits every type of gamer. Their impressive range of games is easy to access and they provide a way for players to bank using pay by phone bill; something we at Phone Bill Casino are big fans of. Games are an essential aspect of choosing a new casino site, so head over to Spinson Casino and prepare to be impressed. They have table games, video poker, scratch cards and video slots such as When Pigs Fly and Gonzo’s Quest. An added bonus is that many of these are available on mobile and tablet devices, as well as the usual desktop. Mobile gaming is rapidly on the increase, so you’ll find that more and more casinos, and game providers are bringing incredible graphics and sound to the small screen. If you’re a fan of bonuses then you’re going to love Spinson Casino, because they offer a little something for everyone. 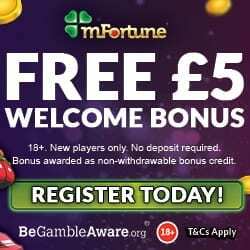 When you register you’ll receive 10 bonus spins for the featured favourite Starburst, into your account; no deposit required. Your 1st deposit on Spinson Casino will be a little different from other sites, because the amount you wish to deposit will alter the amount you receive. 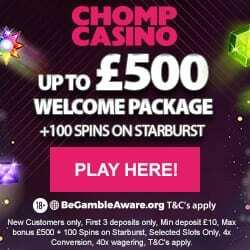 Deposit £300 or more and get 999 spins on Starburst, Neon Staxx, Twin Spin, Gonzo’s Quest or Wonky Wabbit. 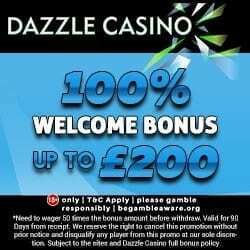 It’s not just the welcome bonuses where Spinson Casino excel, because they provide a number of generous weekly promotions. These are displayed on their monthly promotions calendar and include offers such as Guess the Game and Weekly Bonus Spins. As you wager on Spinson Casino you’ll accrue loyalty points, which can be redeemed for additional gaming credit. This is another little extra from the site and presents us with more chances to win that jackpot prize. Spinson Casino accept the usual banking methods, including Credit and Debit Cards, Skrill, Neteller and Paysafe Card. For the pay by mobile phone fans, you’ll be delighted to hear that Neteller now accept Boku. There is a transaction fee to use this service, but to gain further details please check out our article on Neteller accepting Boku payments. To enjoy the amazing welcome and regular promotions, simply head over to Spinson Casino and enjoy.